The world is eagerly waiting for the 7 magnificent buildings around the world for their inaugural ceremony. Each building has been innovatively designed by renowned architects from various parts of the world. The buildings are in various stages of completion and will be open for public in the New Year. The 350,000 sq ft institution has been designed by the winning architectural firms after an open international competition was held way back in 2008. From the hundreds of architects, the jury selected 6 finalists. 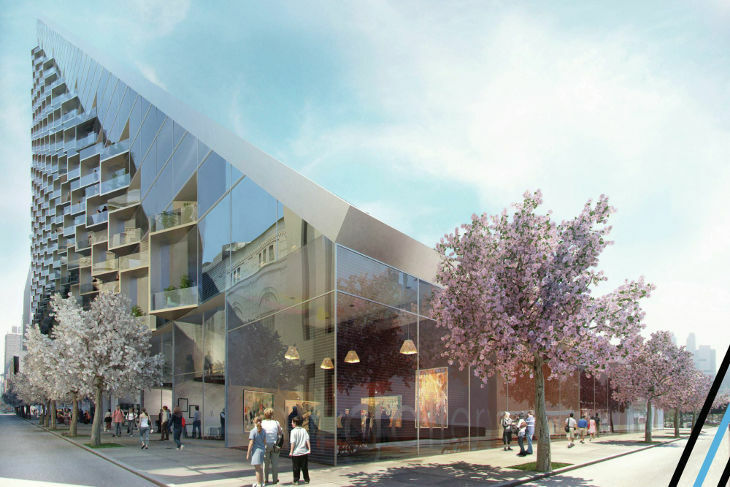 Frelon Group, Adjaye Associates and Davis Brody Bond won the design competition. 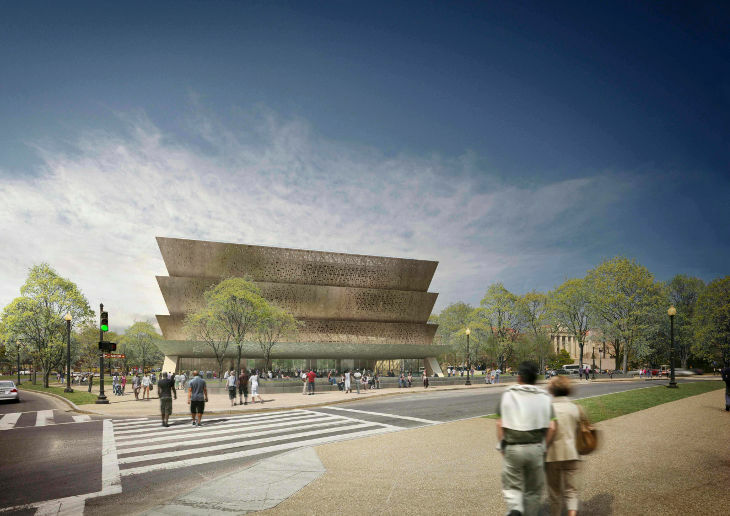 The NMAAHC was established in 2003. 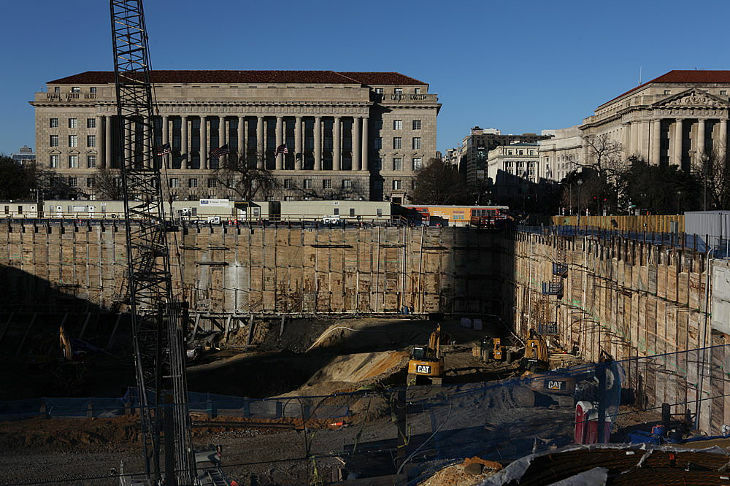 The Smithsonian Institution museum building, designed by David Adjaye is undergoing construction on the National Mall in Washington D.C. 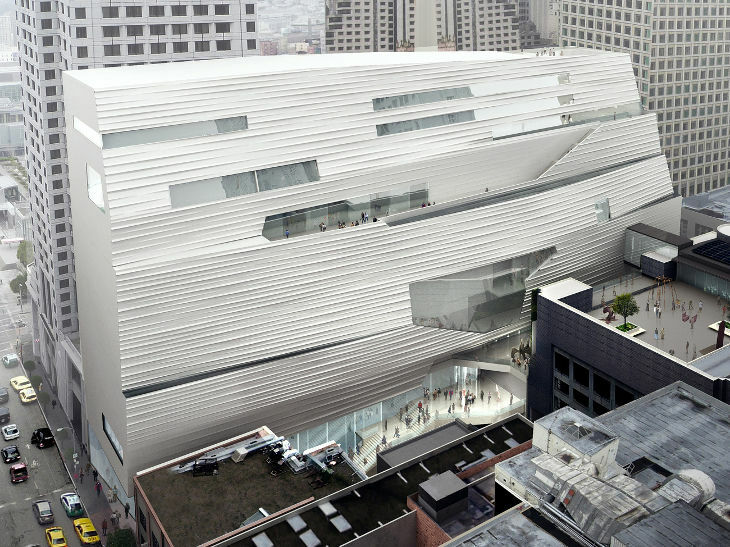 The museum is slated for a 2016 opening. 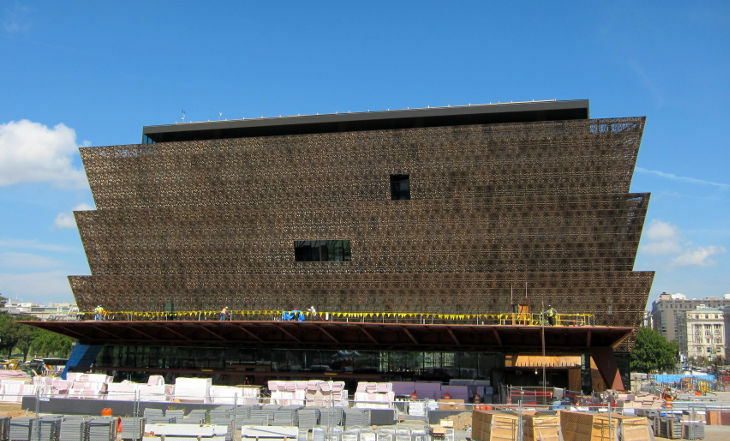 The concept for the African American Museum was laid way back in 1915. In 2001, President George W Bush expressed the museum should be located on the National Mall on the 29th of December 2001. He went onto endorse the site once again on the 9th of February 2005. As per earlier plan, the museum was scheduled to open in November 2015 but got delayed due to multiple factors. The groundbreaking ceremony was held on the 22nd February 2012. 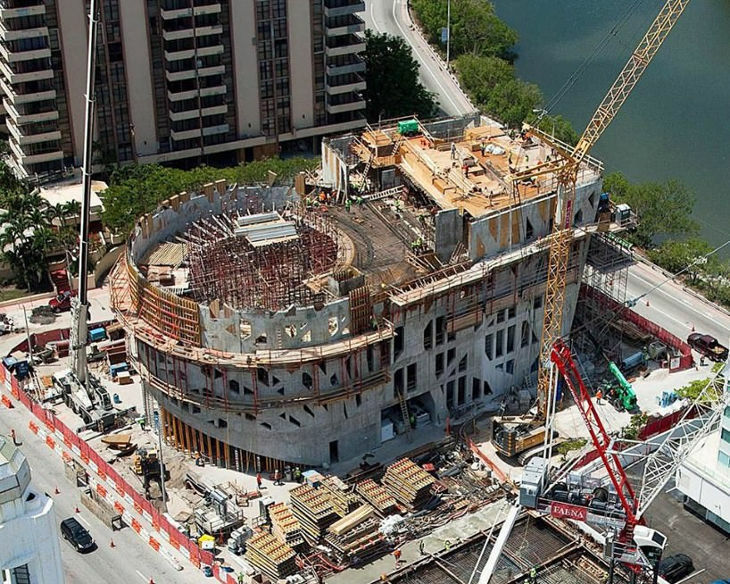 The building will have 10 stories – 5 above and 5 below the ground. Clark Construction Group, Smoot Construction and, H J Russell and Company are taking care of the construction efficiently. The Hub, with a $ 3.74 billion cost for its reconstruction, will become one of “the world’s most expensive transportation hub”. 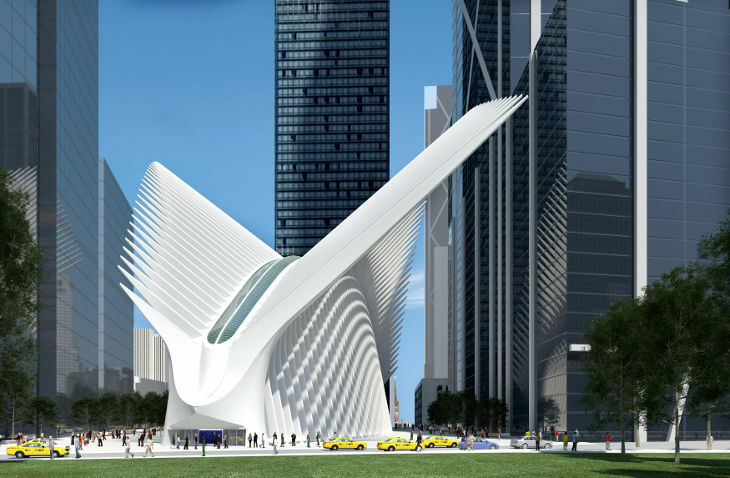 Renowned Spanish architect Santiago Calavtrava has designed the Transportation Hub. 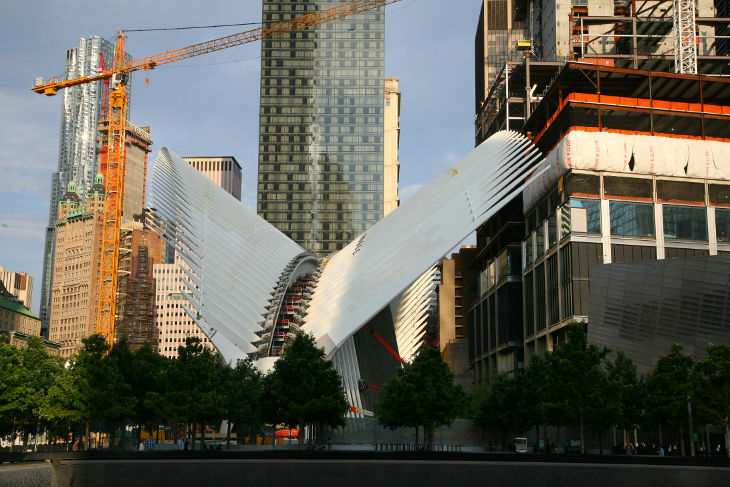 It is composed of a train station with a large open mezzanine under the National September 11 Memorial Plaza, which is connected to an above ground head-house structure called the OCULUS. It is located between the Second and Third World Trade Center’s Towers while acting as pubic concours under the various towers in the World Trade Center Complex. “The OCULUS resembles bird being released from a child’s hand,” Santiago, the architect had stated of his design, which is attracting lot of adulation from various quarters. 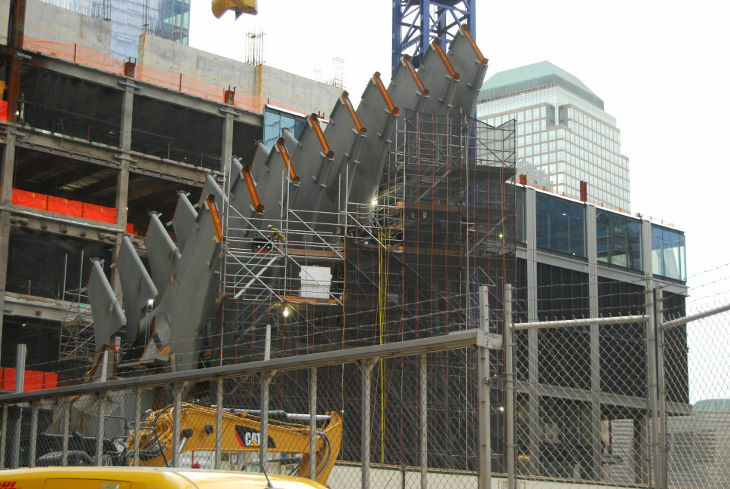 The additional design feature is connecting the PATH to the New York City Subway Station. 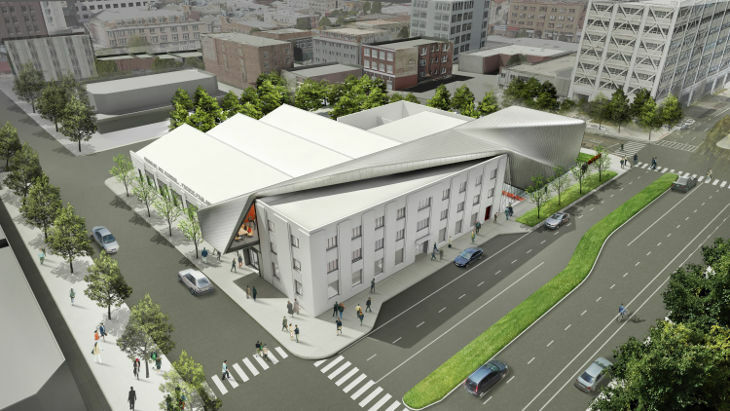 It was in 2011 when BAM / PFA (short form of the museum and archive) presented the schematic design for the $100 million transformation of a former printing plant into its new home. 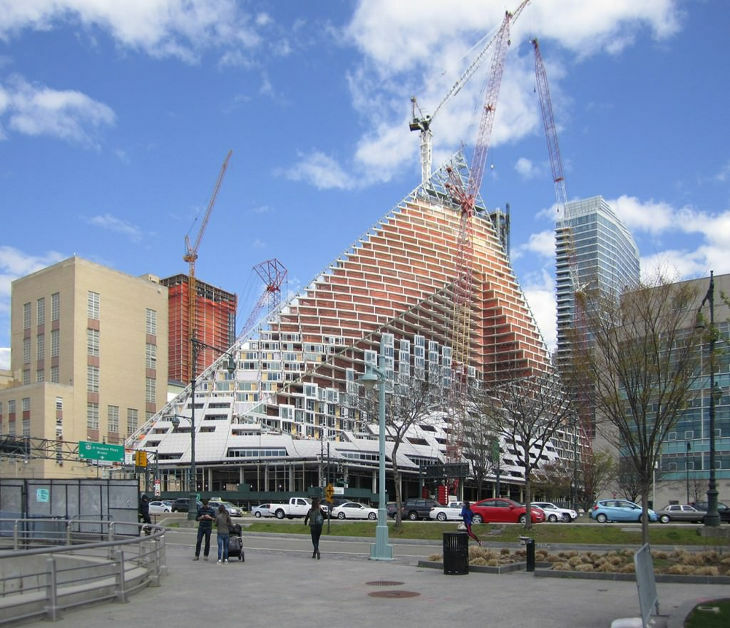 Diller Scofidio + Renfro, the renowned New York architectural firm has designed the new building. It is all set to open in 2016 for public. The design combines the new metal-clad structure having skylight with the existing 1939 concrete Art Deco-Style building. 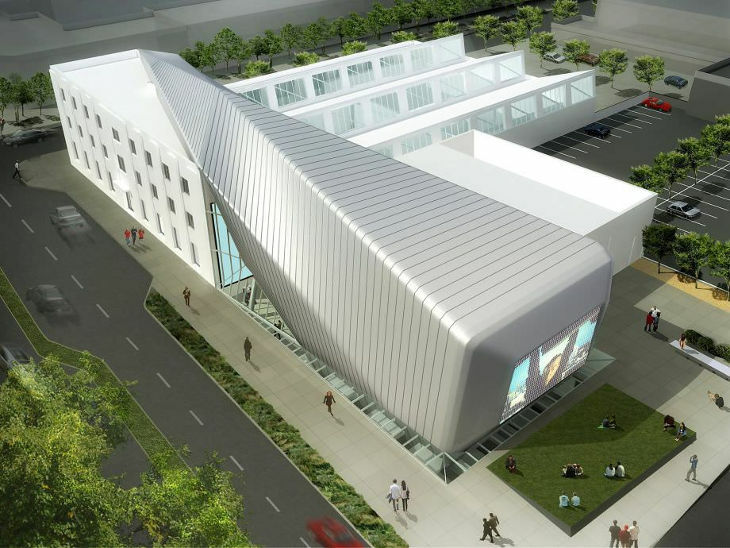 This will include galleries, a 32-seat screening room, a store and a learning center. The construction started in the year 2013. The BMA / PFA is associated with the University of California, Berkeley. The museum was founded in 1963 to open 7 years later in 1970. A donation of 45 paintings and $250,000 was made by artist-teacher Hans Hofmann to the University. 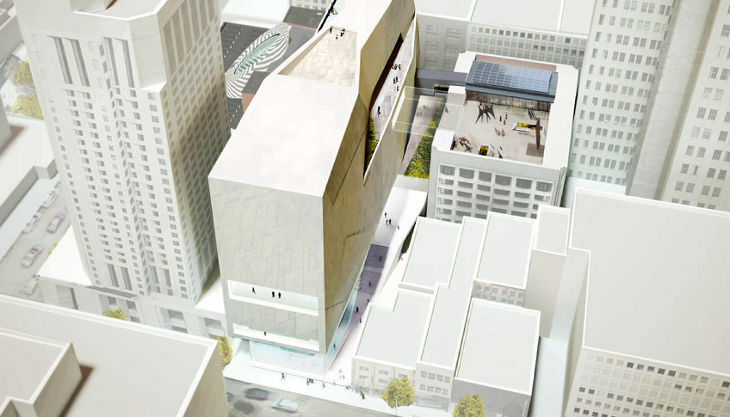 The 42,565 sq ft building design has been influenced by the New York Museum Guggenheim. 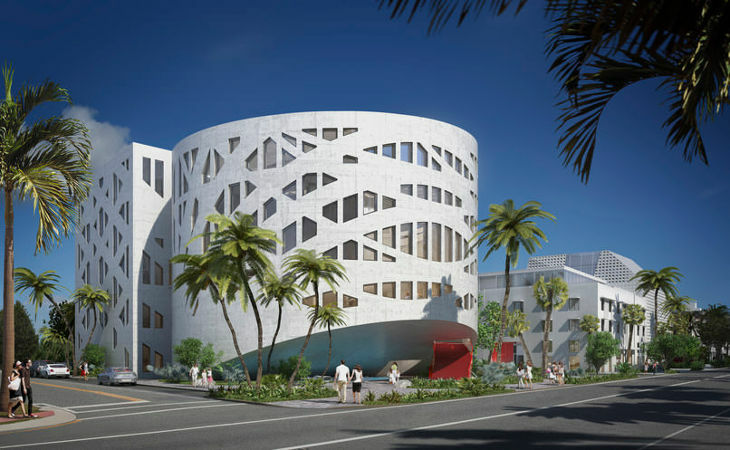 Shohei Shigematsu, a partner in the Dutch firm OMA’s New York branch office revealed the design inspiration of the FAENA Forum. Argentine entrepreneur Alan Faena and his partner Ximena Caminos, also the Creative Director of Faena – always wished to create something with a Polyphonic Space – Designing a space that would rise above artistic disciplines to multi-function as a performance venue and a museum. Miami is one of the hottest destinations in the world and it has always had glamorous entrance. 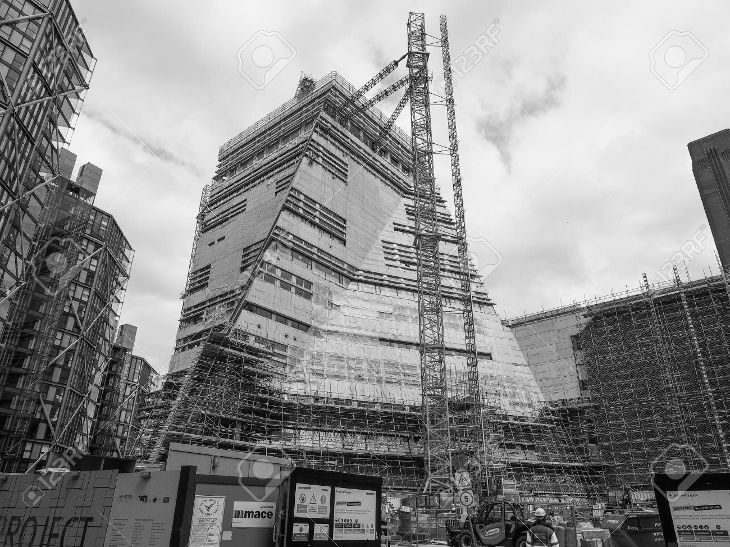 The multidisciplinary cultural center designed by Rem Koolhaas’ OMA will become a major attraction when it will be opened for public post fall in 2016. 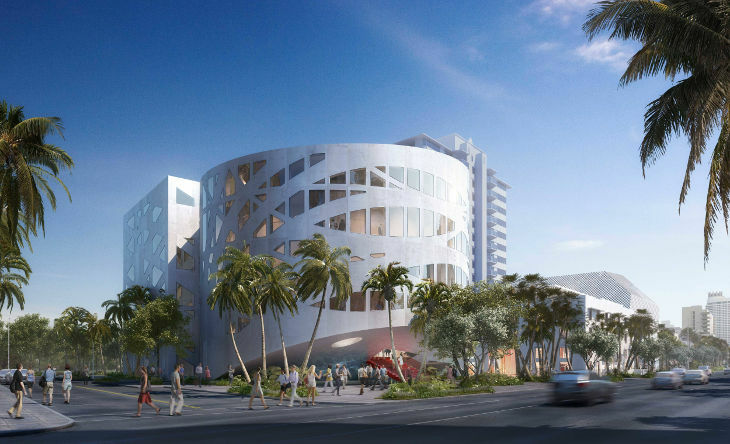 The OMA partner Shigematsu, in-charge of the project revealed, “Faena Forum looks more like a jewel than a big architectural manifesto. 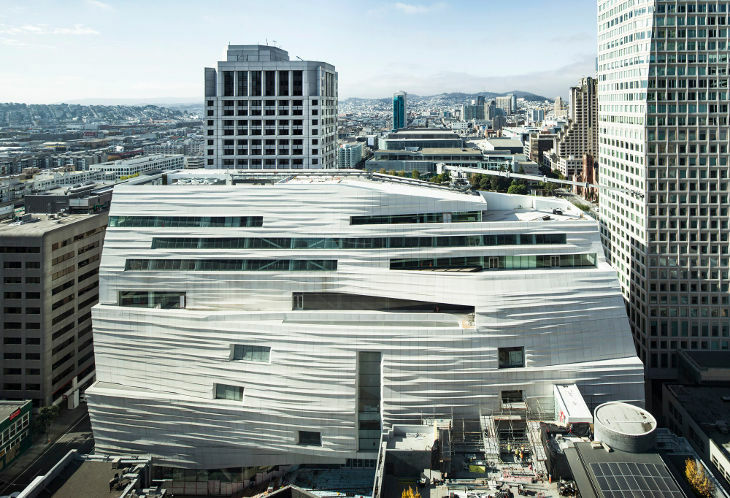 All slated for the 14th May 2016 opening, the expanded and transformed San Francisco Museum of Modern Art has been designed by renowned architectural firm Snøhetta. The expansion budget was put at $ 305 million. 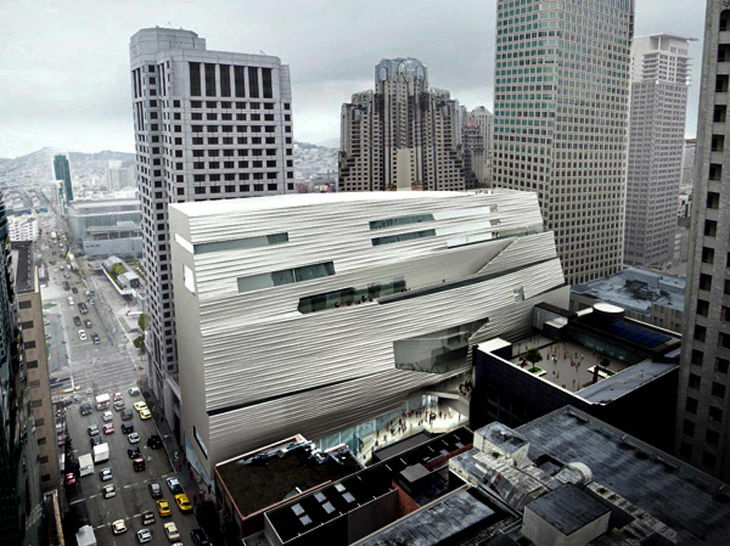 With the expansion, the museum will have three times the existing exhibition space. 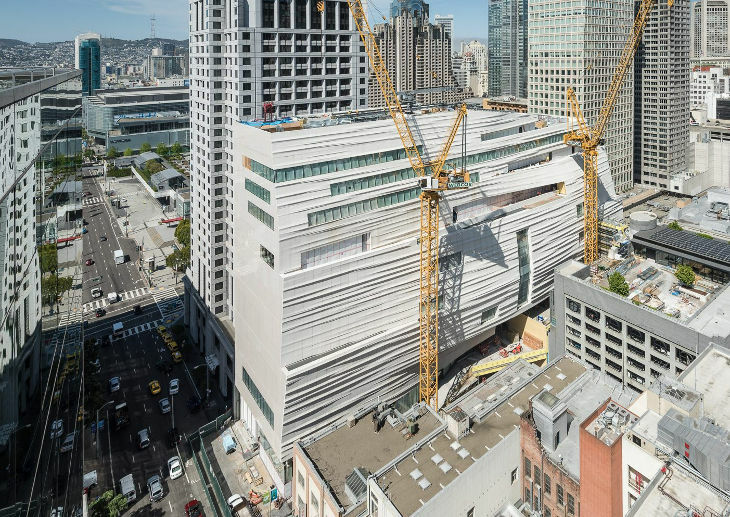 The New Pritzker Center of Photography will make its debut here on May 14th. 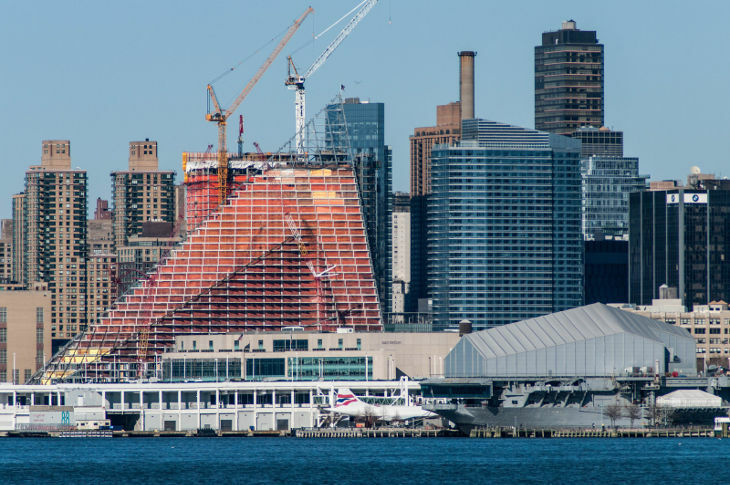 The 7-year expansion plan has led to construction of a 10-storied, 235,000 sq ft additional area integrating harmoniously with the museum’s existing 225,000 sq ft area building designed by Mario Botta. 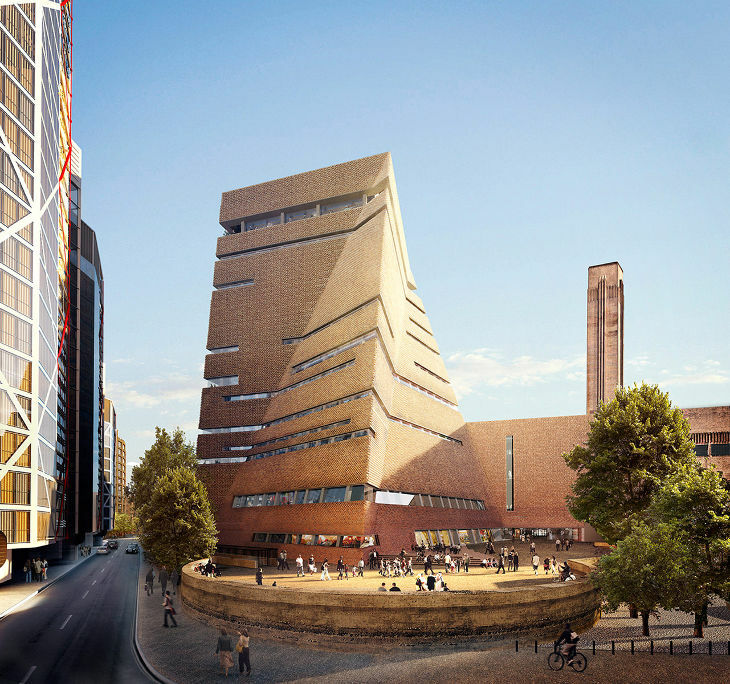 The Tate Modern’s ‘New Angular Extension’ has been designed by Swiss architectural firm Herzog and de Menron. The opening is slated for next year and the construction work is in full swing. 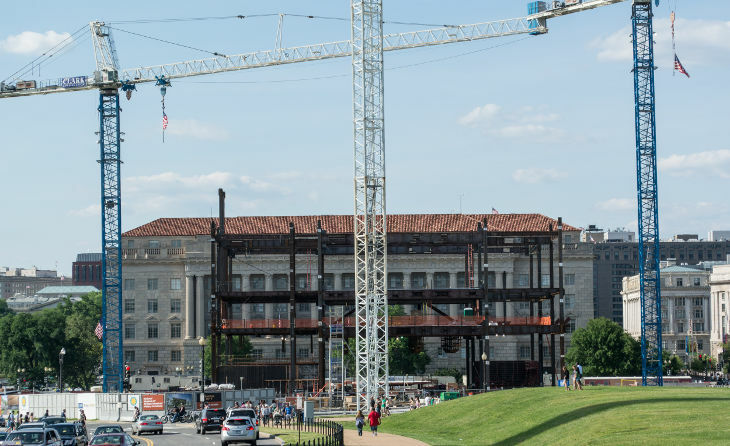 The new iconic building is being added at the South of the existing gallery. With more space being creatively designed and added, now there will be enough area for displaying the collection, installation of art and learning, and event performances. The innovation design by the renowned architectural firm has also kept in mind to create more social area for visitors to relax, mingle and enjoy their outings. 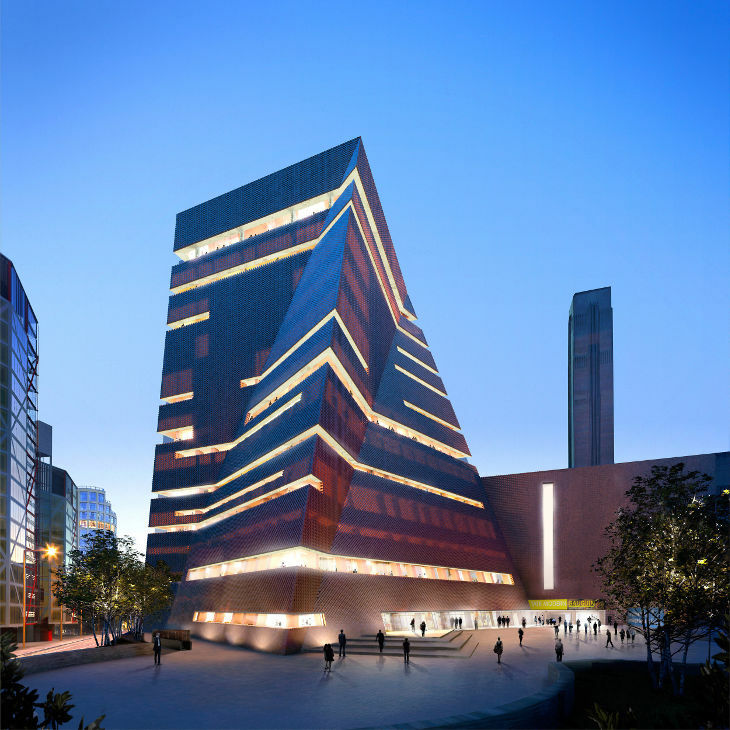 Tate Modern is one of the famous modern art galleries in the world, located in London. 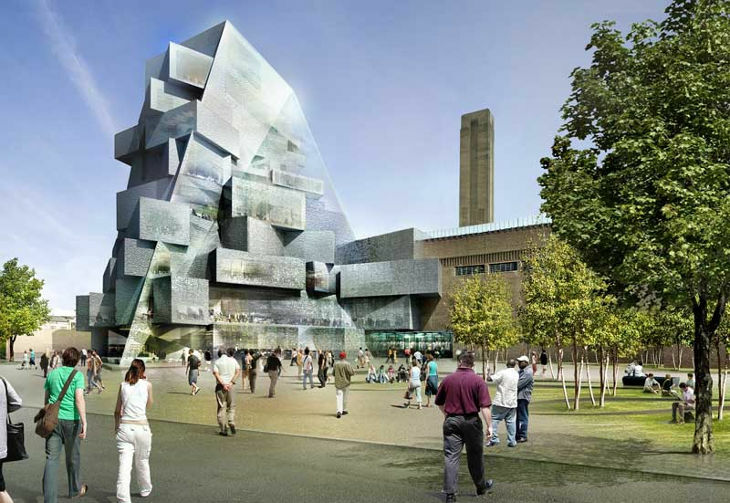 It is part of the Tate Group and Britain’s National Gallery of International Modern Art and Forms. VIA is the name of the large new housing project designed by Copenhagen and New York-based multiple award winning architectural firm BIG. The spectacular project will act as a gateway to Manhattan. It is popularly known as the ‘Courtscraper’ standing tall at 32-storeys with 80,000 sq m floor area and 709 residences. 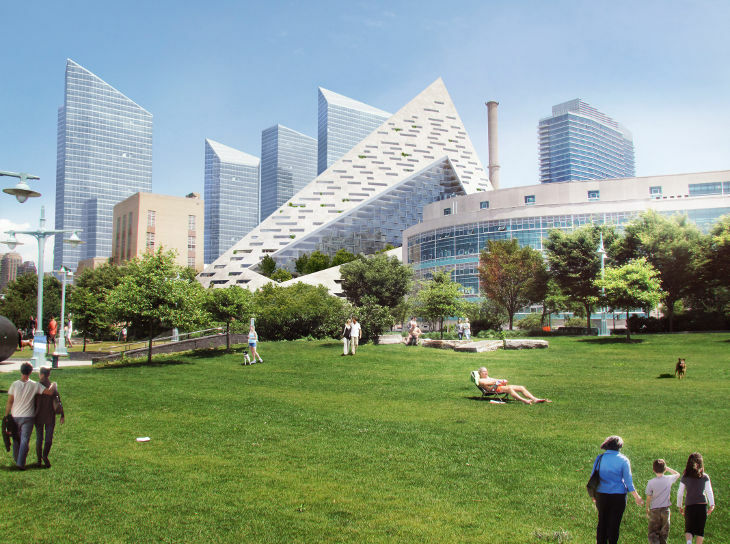 Bjarke Ingels Group prestigious project has a blend of hybrid design of the European perimeter block and a traditional Manhattan high-rise.